Are you ready for some high fructose fun? Do you want a book that will leave you in peels of laughter? 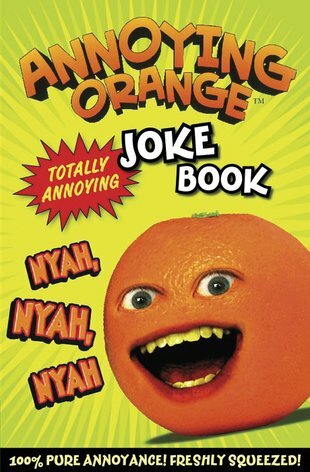 Then bite into this book from internet sensation Annoying Orange, full of freshly squeezed comedy and his trademark groan-worthy puns! Take the lead from the King of Puns and annoy your family and friends with his huge selection of irritating jokes. Now the fun can continue long after the computer has been switched off! This book even includes hilarious illustrations of Annoying Orange and his foodie friends, including Pear, Knife, Midget Apple and Grandpa Lemon. The ultimate companion for Annoying Orange addicts!